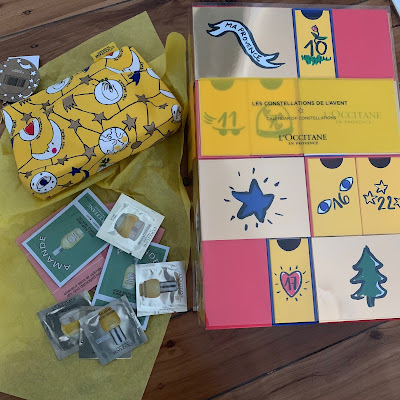 Sydney Shop Girl: Lovin' Life 15/11/2018: Advent Calendars. It's just two weeks until the first of December and I'm already beside myself with the anticipation and the excitement. Family, food, ultra long long-weekends.... and advent calendars. I am excessive when it comes to the calendars. We each have a gift based calendar and ... one filled with chocolate. All four calendars take pride of place on the mantlepiece and we are both surprisingly very good about only opening one window per day. The windows get opened in the evening (as an inducement to get through showers and the rest of our pre-dinner routine ASAP) and we count up from window number 1. I don't actually know anyone who counts down from number 24 but it does kind of make sense to be 'counting down' to Christmas Day. This year's chocolate calendars are the Lindor and Kinder versions that I found at Woolies. Just kidding. It's the Aldi wine advent calendar in case you were curious and it costs $79.99. It was released yesterday. Fingers crossed your local store still has one for you. It's from L'Occitane and features the vibrant artwork of Jean-Charles de Castelbajac, the French designer. L'Occitane is one of my favourite places to shop at Christmastime. Not only are their gifts lavishly packaged but they always have generous gifts with purchase plus the 'more is more' approach to samples. Do you open an advent calendar or two for Christmas? Chocolate, beauty, books or booze? Oh yes, I keep seeing those wine ones advertised and think 'that's what I need'. Though I don't drink white wine so it'd be kinda wasted. Maybe a prosecco one? 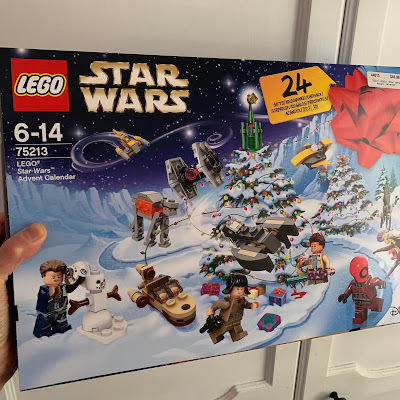 Advent calendars are a great idea - I've never seen anyone with more than one before - I love that you've gone full on with these and I bet your son LOVES them! I'm trying the T2 loose leaf advent calendar this year. Can't wait! That first calendar you posted up there ... the whitish Christmas tree looking one ... looks gorgeous!